Academics – The Tundra Tabloids……. Brian of London: Recent fake science exposé and Palestinian studies are actually linked, let me explain why……. Nathan Rubbelke: In Orwellian college lecture, ‘whiteness in decline’ is leading to ‘resurgence,’ or something……..
Manfred Gerstenfeld interviews Israel W. Charny: The Academic Distorters of the Holocaust……. Barbara Kay: The Left’s Siege of Our Universities……. French academic Christian de Moliner advises a ‘binary’ France, one ruled by secular law, the other by sharia……. Dr.Manfred Gerstenfeld: Hate spaces on US campuses……. Israellycool post generates action: Rutgers University disavows Jew hating professor……. US: End of the university, the Left’s siege of our academic institutions……. US: Worrisome study shows majority of college students hostile to free speech……. Douglass Murray smeared as “white supremacist” during speech at U of M by radical leftists students……..
Post-Modernism: Now its Finnish swastikas in the cross hairs of academia……. US: Two college campuses demostrate their support for the Islamonazi terror group Hamas……. Dutch prof compares animal treatment in slaughterhouses to the Nazi extermination of the Jews……. Academics find a way to tame Westerners into wanting/loving more migrants: ”Shame them, inject them with hormones”……. US: ‘Paloestinkian’ prof calls for jihad in America, labeled most dangerous professor in academia…….. The mainstreaming of support for Islamic terrorism and Jew hatred in the Democrat Party……. Sara Dogan: UCLA Coddles Hamas Activists on Campus While Trampling 1st Amendment……..
Dr.Manfred Gerstenfeld interviews Lesley Klaff: UK Campus antisemitism and free speech……. Dr.Manfred Gerstenfeld: Hotbeds of Antisemitism in British Academia……. 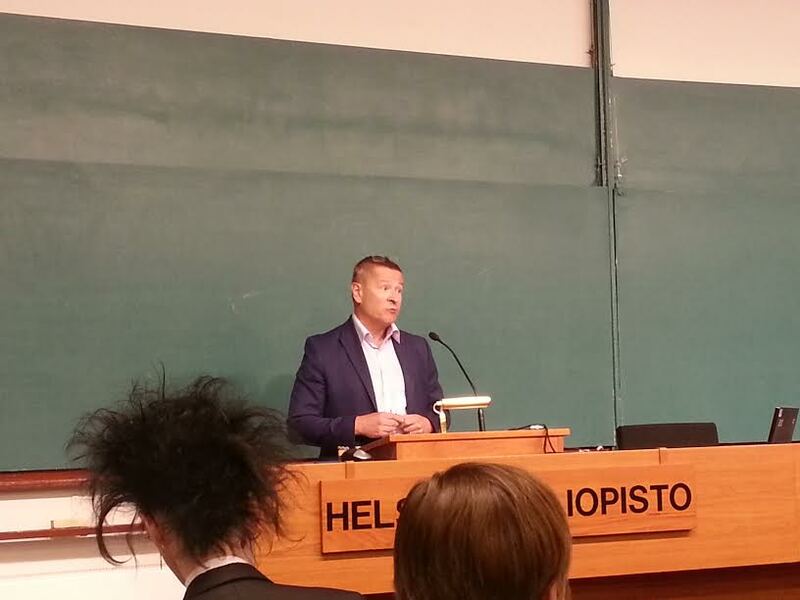 COUPLE OF JACKASS FINNISH PROFESSORS JOIN (ORWELLIAN) ANTI-ISRAEL PETITION CONDEMNING STATES BANNING BDS OF LONE STAR STATE….. US: SNOWFLAKE PROFESSOR RANTS ABOUT TRUMP WIN BEING AN ACT OF TERRORISM……. THE FLAWED ANTISEMITISM INVESTIGATION BY CITY UNIVERSITY OF NEW YORK (CUNY)…….. THE PEOPLE’S CUBE RUNS INTO KAFKAESQUE SITUATION AT GEORGE MASON UNIVERSITY FOR ANTI-TERROR POSTERS….. US: CRACKPOT LEFTIST PROFESSOR SAYS FOLLOWERS OF BASIC CHRISTIANITY MORE DANGEROUS THAN ISLAMONAZIS…….. TEN YRS AGO THE ”VAN DER HORST” AFFAIR, DUTCH UNIVERSITY CENSORED ACADEMIC LECTURE ON MUSLIM JEW HATRED……. WHY DO PRO-EU ACADEMICS FEEL ENTITLED TO OTHER PEOPLE’S MONEY…….? BDS SPREADING JEW HATRED ACROSS U.S. CAMPUSES LIKE WILD FIRE……..
ISRAEL HATER JASBIR K.PUAR WANTS TO SUE ALL WHO PUBLISH HER JEW-HATRED LADEN SPEECH……. TZOFAR THIS WEEK: BIGOTRY COMES IN ALL COLORS, ESPECIALLY IN ACADEMIA……. US: OBERLIN ALUMNI OUTRAGED OVER ADMIN’S TEPID RESPONSE AT ALMA MATER…….. US: QUEER THEORY ASSOC.PROFESSOR SMEARS ISRAEL AS ”STUNTING GROWTH OF PALESTINIAN BODIES”……. UK: YET ANOTHER VICTIM OF ACADEMIC POLITICAL CORRECTNESS BY THE CULTURAL MARXIST GANG……. LEFTIST FASCISM ON CAMPUS: MEDIA PROF ASKS “FOR MUSCLE” IN REMOVING STUDENT PHOTO JOURNALIST…….. US: CAMPUS MAOISTS OF THE THIN SKIN GENERATION…….